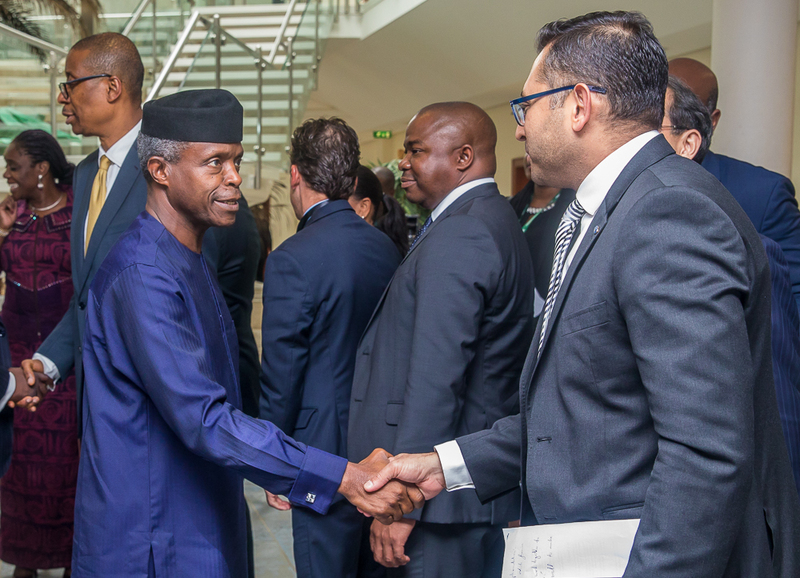 Vice President Yemi Osinbajo, SAN, receives a delegation of International Automative Investors in Nigeria led by M.D. Volkswagen group South Africa, Mr. Thomas Schaefer at the Presidential Villa, Abuja. Photos: NOVO ISIORO. 3rd July, 2018. 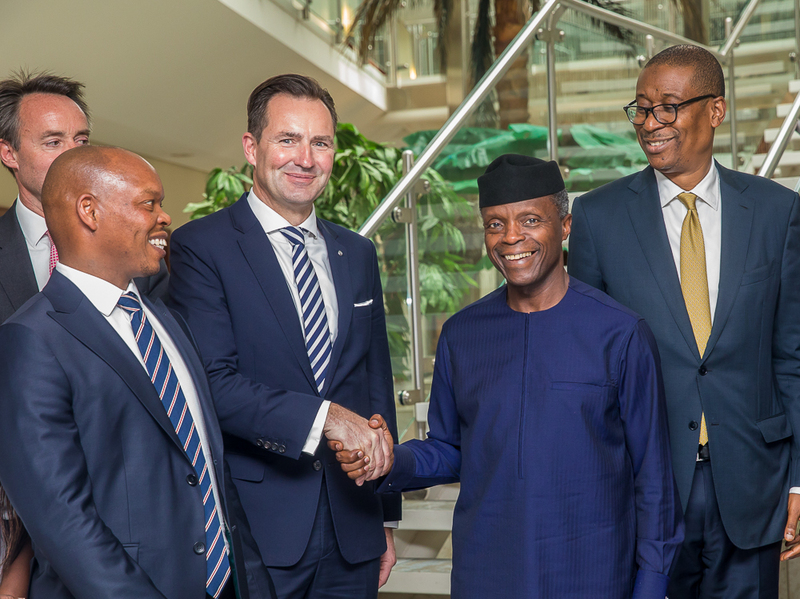 VP Osinbajo with CEO Deloitte Africa, Mr. Lwazi Bam (2nd left) and other members of the delegation during the meeting. VP Osinbajo with M.D. 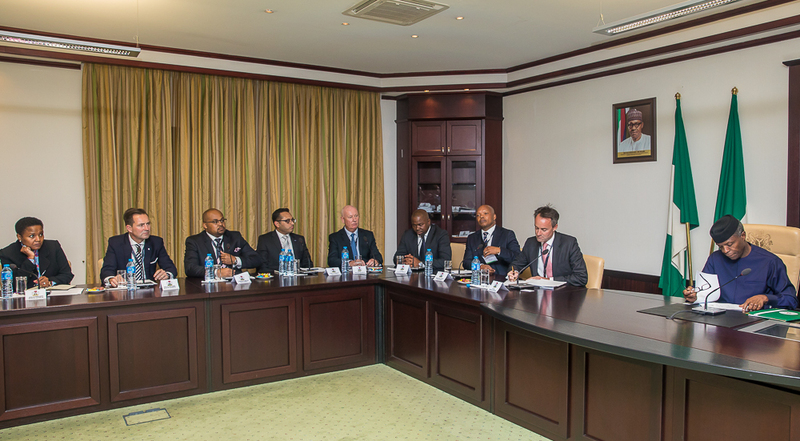 Volkswagen group South Africa, Mr. Thomas Schaefer (1st left); CEO Deloitte Africa, Mr. Lwazi Bam (2nd left); Min. 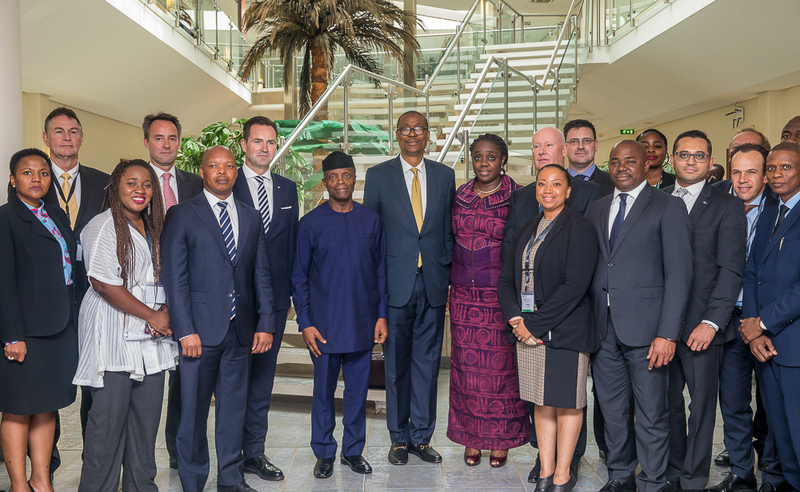 of Industry, Trade & Investment, Dr. Okechukwu Enelamah (1st right); Min. 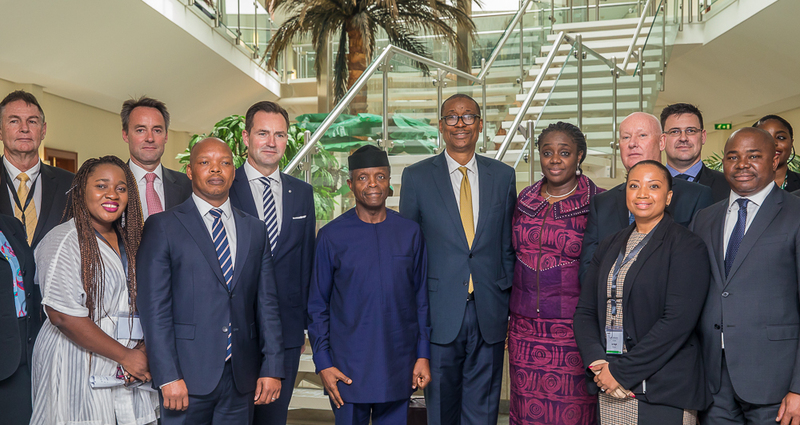 of Finance, Mrs. Kemi Adeosun (2nd right) and other members of the delegation. 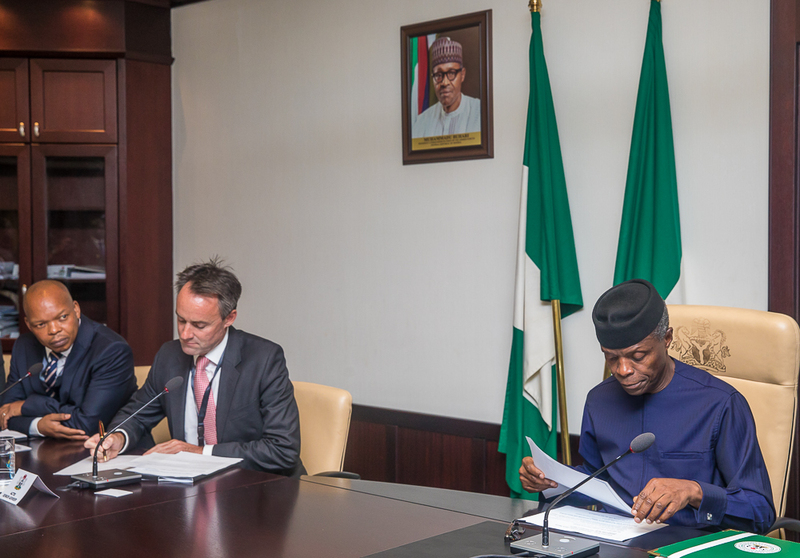 VP Osinbajo with Director Govt. Affairs Ford South Africa, Mr. Dhiren Vanmali. VP Osinbajo with M.D. Volkswagen group South Africa, Mr. Thomas Schaefer flanked by Min. of Industry, Trade & Investment, Dr. Okechukwu Enelamah and CEO Deloitte Africa, Mr. Lwazi Bam.